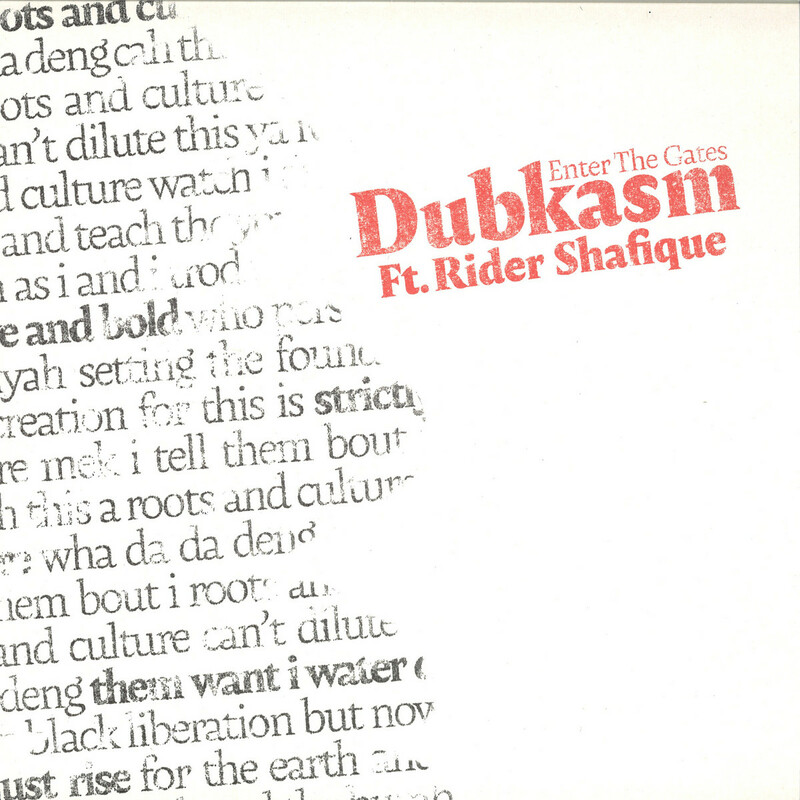 Meditative and off-kilter, Dubkasm’s new 12′ is, unsurprisingly, completely unlike any other tune out there, and pays tribute to a toofrequently overlooked part of reggae tradition: dub poetry. 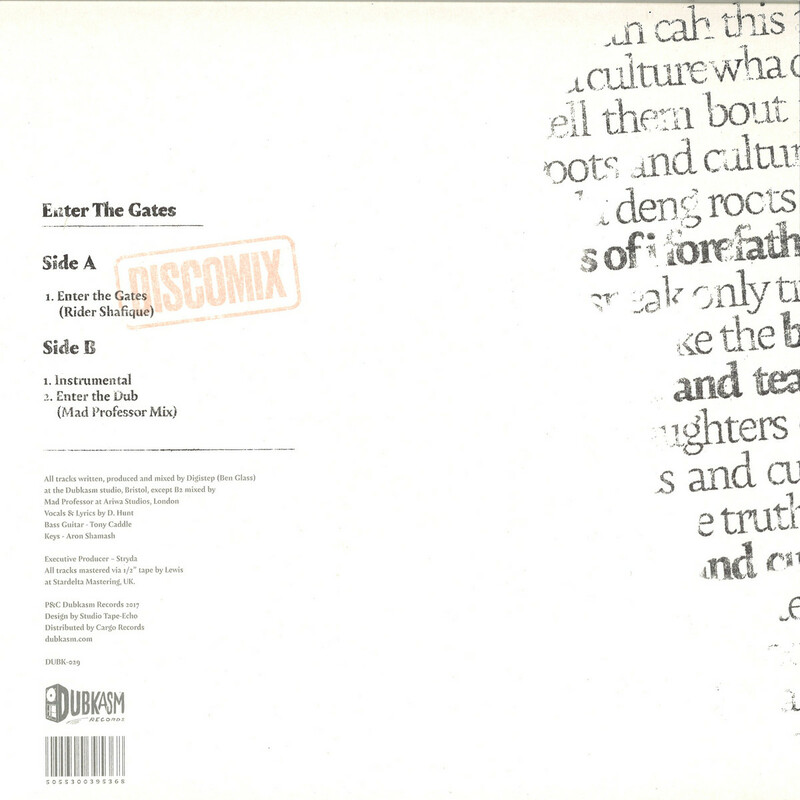 Originating in a collaboration between Dubkasm and their long-time friend, Norway-dwelling heavyweight bass guitarist, Bajan Steppa, Enter the Gates is a discomix built on a tuff bassline, skittering drums and retro synths, and features reflective, courageous lyrics about the enduring power of Black liberation movements and consciousness, from Gloucester vocalist Rider Shafique. The B-side contains an upfront instrumental cut, followed, in true Dubkasm style, by a collaboration with a musical titan. Mad Professor’s incredible dub flips the original into a propulsive soundsystem killer, retaining the tune’s heart and spirit, but driving and percussive where the original is deep and soulful. (Paul Lee) Mastered on to 1/2′ tape at Stardelta Studios, and pressed on 180g vinyl. Sleeve design by Studio Tape-Echo.